Gaming. The one thing most people having access to a computer have done at some point in their lives. Sure, it might have been an old-school game on your Pentium 3 machine (Aladdin! Hercules? ); or perhaps a soul-sucking (in a good way), addictive Grand Theft Auto title; or one of the N first-person shooter titles based on World War 2 (yes, Call of Duty – I’m looking at you). It used to be different. You needed to pay attention to the game. From hearing the development rumors, anticipating the release, buying or ahem … borrowing the game, and then making it the sole purpose of life for a few weeks, to feeling empty once the game was over – used to be an experience. Enter smartphones. From the moment Apple opened its App Store for third-party developers in 2008, gaming got a new dimension. Was it the first time we saw good games on a mobile phone? Hell no! 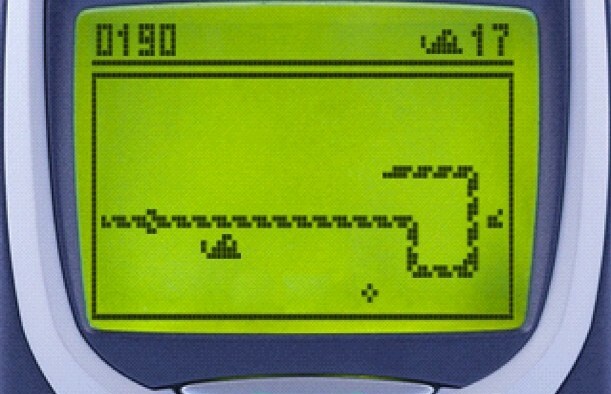 Snake was one of the most addictive, challenging, and satisfying games of its time. Nokia N-series phones had some decent games. What changed, then? A new class of games was born. One that took casual gaming to new levels. One that didn’t require to pay much attention to the game. Games that became a part of your daily routine; ones you played for months or years without realizing! Angry Birds, you say? Cut The Rope! No. Not those. Not games where there is a definite objective and you have level after level of the same. I’m talking about Clash of Clans, Candy Crush Saga, Farmville etc. You have most likely played (or heard of) at least one of these. Titles that appeared on the app store as simple, ‘time-wasting’ games, have made their studios millions. What makes these games tick? The fact that you have to play them in ‘small bites’; logging in at least once a day? And the fact that you have to buy in-game items to progress faster? Wouldn’t that make you want to play the game less? Patience is a (money-saving) virtue. If a friend of mine said to me ‘Dude, you need to play this mobile game. To complete the objectives and reach a high level is going to take you months!’, I’ll proceed to ask him about the substance he has been smoking recently. But maybe that is why these games have become so successful. Let me explain. To become a ‘l33t’ player or a professional gamer in any traditional computer game requires one to put in massive hours at an age where your reflexes are at an all-time high, and your parents’ patience at an all time low. Kids have given up education, dropped out, and done all sorts of things to become world-beaters at the game of their choice. And if you’re thinking that’s horrible for their financial future, Sumail Hassan, a 16 year-old Pakistani-American won more than $1.1 million a couple of months ago by winning the fifth DOTA 2 international tournament. But that’s not a requirement on these mobile games! Most of them have a ‘freemium’ business model, where you can play the full game for free, but there is some time restriction – forcing you to come back to the game at regular intervals. Want to get to the top in a couple of days? Spend a few hundred dollars, and you could become the best in the world! Of course, you may say that the number of people who can spend such a ridiculous amount of money on a mobile game are few. And I agree with you. So what about us mortals? If the game forces you to wait to play more, you wait. Can’t attack with your armies yet? No problem. Cannot harvest your crops just yet? Not able to update your base defenses for another day and a half? No worries. The casual gamer doesn’t really care. And so we keep playing these games for a surprisingly long time! Months, even years! Sure, it’s never more than five or ten minutes per day, but still. How many things can you decide to do for five minutes every day, and then follow through for six months straight? Of course, not all of these freemium games are successful. Some of them appear to be money-grabbing apps that don’t deliver (I’m looking at you, Roller Coaster Tycoon Mobile!). But successful ones have changed the way people look at mobile gaming. Will these games stand the test of time? Who knows. But for the moment, they’re here to stay on our iPhones and Galaxys. Which mobile games do you play regularly? Thanks for reading! 🙂 Do spread the word if you like what you see! P.S. – You’ve got to try Boom Beach. What an amazing game! Back in 2005-06, things were different. Birthdays were remembered; photo sharing happened at someone’s place with people crowding around a monitor; and friends generally didn’t say wonderful, flattering things to each other’s face. That was life before Orkut, the first social network for many in India. Was Orkut the first social network? Nope, successful ones like MySpace already existed by the time Orkut came along. But it was certainly the first one to gain a large user base in India. And boy was it popular. Of course, its popularity was rather short-lived due to the quick, tectonic shift to Facebook by a large number of people. But for me, and many others I’m sure, Orkut was the first social networking experience. And now (unsurprisingly) Google is shutting down the deserted social network on September 30th. As a teenager just out of high school, the impact of the social network was substantial. A lot of new acquaintances suddenly became ‘friends’ and started sharing stuff. Posting ‘scraps’ on each others profiles became a thing. A very weird thing actually. Why did I have to say things to a friend ‘in public’, where everyone could eavesdrop? I didn’t have to, but I did, just like most of my friends. Many people (I’m guilty as well) had weird profile names; a crazy fad where you used the first and last name fields to write messages. I think this continued even after Orkut added a status field. Fan groups were also quite popular with Orkut. People created pages for everything and everyone; a trend that still continues in Facebook today. And then there was the rating system! If I recall correctly, people ‘rated’ friends on three ‘parameters’: friendliness, attractiveness and coolness. If that isn’t cringeworthy, I’m not sure what is. But people did it anyways! No wonder Google hasn’t been too successful at social networking (even though they did take down the ‘ratings’ feature). But the most important, and fun feature was the ability to write testimonials for friends. And of course, having your friends write one for you. In fact, testimonials were so popular that back then there were Facebook add-ons for testimonials! Not that they became popular (thankfully). Orkut tried. Maybe not too hard, but they changed their interface, style and privacy controls to stop users from moving to Facebook. It was born out of the ‘20% project time’ at Google where employees can work on something other than their job responsibilities. And you somehow got the feeling that Google always treated it that way. It would have been interesting if Google was serious about social back then. But they weren’t, and they’re still paying the price for that today. P.S. – That was never my profile name on Orkut. This post was published 4 years ago on my older blog. Re-posting it here. Most of the things discussed are still relevant. The spread of broadband internet in India has triggered a vast downloading community. Movies, softwares, music or anything digital for that matter can be downloaded from the internet. One question occurs to most of us: Where is all this content available? How to download it? The questions that follow are: Is it legal? What is the internet speed requirement for downloading? Is there a risk of viruses/trojans in the process? I won’t be discussing about direct downloads (maybe sometime later!) and proceed to the other two. 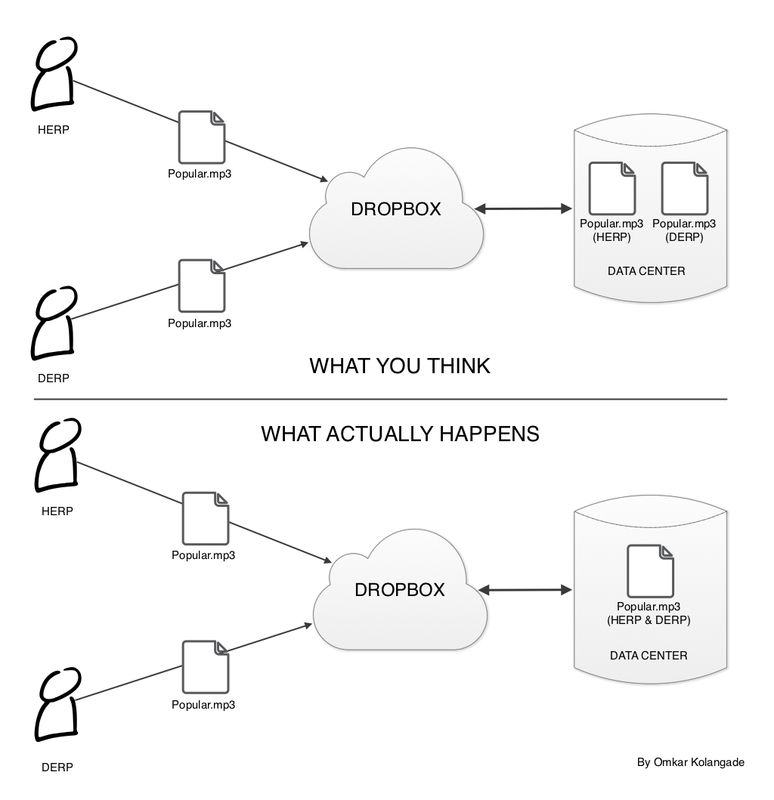 P2P (Peer-to-Peer) is a data transfer technology that is quite similar to BitTorrent (discussed later) in nature. What happens in p2p is that the client (implying the user, through his software) is connected to a network that is created by a particular software network or a combination of networks. As we all know, the keyword(s) related to the data we want (generally songs or short videos) is entered in the search box. What the software does next is search for files on the entire network that match our keyword(s). If any files are found, they are listed and a number appears next to it along with other attributes. This number is actually the number of people on the network that have the file u want! So u start downloading a particular file from the list. When I say downloading, I mean that your software is connected to the people on the network who have the particular file and they ‘supply’ you with the file. Hence, it is partially logical to say that the lesser the number of people having the file, the lesser the speed. Another factor is the internet speed of the people who ‘supply’ the files. You must have experienced the case where a file having higher number of ‘suppliers’ is downloaded slower than a file with lesser number of ‘suppliers’! Other factors include, the other applications running simultaneously on your PC (web browser, online games etc), your internet service provider’s settings etc. A torrent (proper name: BitTorrent) is a basically a protocol (a method of data communication) that is used for transfer and distribution of data over the internet. The basic principle for a torrent network is the same as a P2P network i.e. it involves the sharing data amongst users of the network. Then what is different? We can say that torrents are an advanced version of p2p (this is not technically correct but we can say that for practical use). In a torrent network, the ‘suppliers’ (as they were called so far) are called seeders. I’ll explain how file sharing through torrent network takes place using a non-technical example. The entire assignment is given by the brightest student to another student. He copies it and passes on both (his own and the original) assignments to other students. This is how the sharing takes place (sharp people may have noticed that this is similar to the sharing principle of p2p!). The original assignment is of 5 pages. So, 5 people are given 5 different pages. They each copy it and pass it on to a student who does not have that page. Also, they look for the other 4 pages of the assignment which they don’t have and copy them! Thus, more number of people are are able to start on the assignment and time is saved! The second case explains how torrents work. A file that is to be shared is put on the network by a host (the person who has the file – the brightest student, in the example above). Parts of the file are downloaded by different users of the network and they themselves start acting as seeders of those parts! So how does that help? Well, the load of providing all the downloaders of the file with data is shared between everyone! You give and take! Most importantly, it reduces the heavy and costly hardware requirements that a person would need to host (provide) the file alone! The colors are parts of the file. Observe how the pieces are shared amongst users. Downloading files through torrents is slightly more complicated than downloading through P2P. Have you ever seen a small-sized file appear on your computer after you clicked on ‘download torrent’ on a website? That file is the torrent file which connects the user to the torrent network. How to use that file? The torrent file must be opened with a torrent software. One of them is mentioned below. The software asks you where you want to store the file(s) and starts downloading. You’ll also notice that there is an ‘upload speed’ column. That’s the speed with which you are sharingthe data of the file you have. An important point: In most torrent softwares, reducing the upload speed directly affects the download speed! So don’t be selfish!! Broadband internet connection is highly recommended for using both the networks. P2P can be used on dial-up connection to some extent but use of torrent networks is almost impossible. Viruses and trojans are to be expected in any form of file sharing as they thrive on that! It may be discouraging to know, but a good anti-virus software and experience are the only two things that can prevent damage caused by viruses, trojans and malwares. It should be noted that pornographic material is a very common carrier of viruses and trojans. P2P networks are more vulnerable to them than torrent networks. The fact is that most of the transfers on these networks are illegal (i.e. copyrighted material is shared. The softwares of both P2P and torrents cannot be sued for these transfers because they provide a means of sharing data. What data is to be shared depends on the user. Use of torrents and P2P can lead to legal action/fine in some countries where cyber laws are strict. Visit the Wikipedia page if you are interested in knowing more (technical stuff) about file sharing. Please feel free to ask questions/post comments below. Thanks for reading! Think about how much time you spend on Facebook (or Google Plus if you’re amongst the 2%) looking at, commenting on, liking and sharing photos. No seriously, think about it. Founder Mark Zuckerburg has mentioned in interviews that most of Facebook’s success is due to its photo sharing aspect. So it’s easy to conclude that social networks want us to upload and share photos for the sake of keeping you non-productive at work. But that is not the only reason they love your photos. This topic has been discussed on the Internet quite a few times but surprisingly I still find most of my friends are not aware of this. So here goes. EXIF data is information – technical and non technical – about the image. So it has things like the date and time when the picture was taken, the camera’s exposure, ISO, aperture settings etc. It also has a unique device number representing your camera. Camera phones and newer digital cameras with GPS can also store where the picture was taken. The second point is the key thing. Photos contain location information which can be collected by social networks. After uploading a photo on Facebook, we typically see the ‘Where was this photo taken?’ field next to the photo. But you know what, in most cases Facebook already knows! Thanks to the location information in the EXIF data of the photo. Now why would social networks be interested in your location? To show relevant ads! We’re more likely to click on that ‘50% off’ ad banner if it belongs to a store in our city. To find out about your travels. And then show relevant ads! Hmm, this user seems to travel a lot. Let’s spam her with hotel booking website ads! Of course, that’s not the extent of it. Social networks mine user data to the point of having creepy knowledge about their lives. Location is just one aspect of it. And it’s legal. After all, we voluntarily (after signing the Terms and Conditions) upload these photos. Now that you know about all this EXIF mumbo jumbo, you might be interested to know if there’s any way to prevent this and still continue to upload sepia-tinted self-portraits on a daily basis. Yes, there is; softwares like ExifTool remove EXIF data from photos. So now you can simply put all your photos through such a software before uploading then on social networks. Is it worth the trouble? Depends on how much your care about strangers knowing where you’ve been ever since you started uploading photos. Feel free to ask questions/post feedback in the comments section below. Thanks for reading!